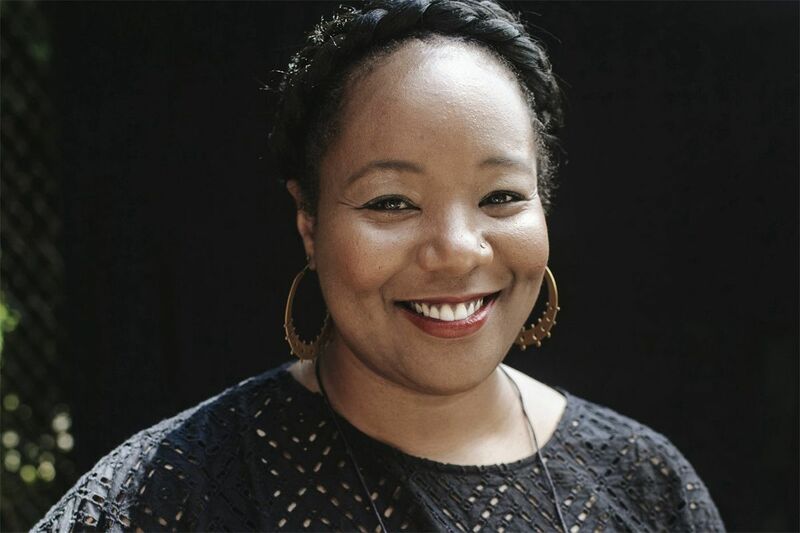 Maori Karmael Holmes, 39, founder of the BlackStar Film Festival, has taken a position as executive director at director Ava DuVernay’s Array Alliance, a nonprofit that works to benefit filmmakers of color and women filmmakers. If Philadelphia has to lose one of its most prominent cultural organizers, at least it's thanks to Oscar-nominated director Ava DuVernay. "If Ava DuVernay calls you, you don't say 'no,' " BlackStar Film Festival founder and producing artistic director Maori Karmael Holmes, 39, says. And though Hollywood came calling, it was "not an easy move to make." Holmes, who previously worked as the director of public engagement at the Institute of Contemporary Art returned to her native Los Angeles in early February for a position at DuVernay's independent film collective, ARRAY. Holmes will head up the organization's newly established nonprofit wing, ARRAY Alliance, as executive director. Launched in 2010 as African American Film Festival Releasing Movement (AFFRM), ARRAY distributes the work of filmmakers of color and women. Notable releases from the outlet so far include DuVernay's own 2012 drama Middle of Nowhere, 2015's Out of My Hands, and 2011's Restless City. ARRAY Alliance, meanwhile, will work to expand opportunities for filmmakers of color and women filmmakers, and Holmes will head up fund-raising and, eventually, public programming, as she does with BlackStar. "It is a gift to have Maori Holmes join our tribe as we enter a new era of public programming and educational work at ARRAY," DuVernay, whose A Wrinkle In Time hits theaters March 9, said in a statement. "Maori brings a deep well of knowledge around artist-centered organizations and a stellar reputation in the world of artists and curators of color." Holmes earned much of that knowledge throughout a 15-year-career of arts organizing in Philadelphia, which began several years after she came to town to get a master's degree in film and media arts from Temple University in 2001. In addition to working to advance black filmmakers with BlackStar, which has grown into a nationally renowned festival since it started in 2012, Holmes also highlighted underrepresented filmmakers with the Black Lily Film and Music Festival for Women from 2007 to 2010. Off the film festival circuit, Holmes connected underserved communities in her position at the ICA, and worked as a communications director and later associate director of the Leeway Foundation, which benefits women and transgender artists. That's on top of serving as rapper Black Thought's manager and being an adjunct lecturer at universities such as Drexel, Temple, Villanova, and University of the Arts, among other gigs. "I built BlackStar. I built the public engagement department at ICA. I worked at Leeway at a point of major transition. So, I really like helping to construct things from scratch," Holmes says. "And I also happen to have connections with independent filmmakers and the organizations that support them." All of that work, Holmes adds, has "been at the intersection of art and social change," which makes ARRAY Alliance a "perfect next step" for her. However, the work also made it a little harder for her to leave Philly. "It is such a wonderful city with so much support from fellow cultural workers," Holmes says. "Although I wasn't from Philadelphia, I definitely felt embraced and supported by my chosen family there." Part of that family, though, has in some ways included Ava DuVernay. The director first got to know Holmes in 2008, when she screened her first feature film, This is the Life, a hip-hop culture documentary, at Black Lily. After Black Lily ended, DuVernay showed her support for Holmes in 2012, when she appeared at the first edition of BlackStar to screen a portion of Middle of Nowhere, a deeply felt film about a nurse (Ballers‘ Emayatzy Corinealdi) who is caught in a sort of limbo because of her husband’s incarceration. DuVernay returned to BlackStar last year for a live conversation with Holmes, and the festival honored her with its Richard Nichols Luminary Award. "[Black Lily] is the reason we established a relationship," Holmes says. "We stayed in contact with each other as our careers took different turns." Those turns led the pair back to one another last fall, when Holmes and some BlackStar colleagues traveled to Los Angeles to explore putting on a West Coast edition of the festival. Plans for a West Coast BlackStar have since been shelved but the fest will return to Philadelphia in August. DuVernay ended up offering Holmes the executive director position with ARRAY Alliance. While the job provides a bigger stage for Holmes' work expanding opportunities for underrepresented filmmakers, to her, it will require much of the same work she did here. Holmes, however, will have to reduce her role at BlackStar. Holmes will instead will handle public programming for the festival, which will last at least through this year, after which point "we will see what happens," in her words. One possibility could involve visiting curators that would change year to year, but for 2018 at least, expect the usual BlackStar. "Once we have things a little more stable, we'll innovate more in that way," Holmes says. But even with Holmes gone, BlackStar could still see some assistance from ARRAY Alliance, which she says is interested in supporting events for underrepresented filmmakers, as well as the communities that create them. While Holmes is gone from town, Philly ultimately stands to benefit from her — and DuVernay's — success. "ARRAY is interested in supporting communities where independent filmmakers come from, especially filmmakers of color and women filmmakers," she says. "Festivals that are niche in those spaces, women's festivals and festivals for people of color like BlackStar, we really want to support those."